A Heat Pump is a ductless unit that acts as both a heater and an air conditioner, it operates as heating in the winter, and air conditioner in the summer in commercial or residential properties. Essentially, it is a clever air conditioner that can also run in reverse, so to speak and also produces heat. No duct work is needed inside the house from top to bottom like a furnace, but wall mounted heat pump air conditioner units do need external ventilation similar to a bathroom vent or oven hood, with a mechanism installed on the exterior of the home, per unit. For example if 3 heat pump air conditioner combo units are needed such as in 3 upstairs bedrooms, thus 3 vents and 3 external housings would be required. Heat pump air conditioner combo units are a great alternative to existing baseboard heating however they make an excellent auxiliary heating unit where needed in certain rooms of the house, whether it be too cold or too hot in the upstairs bedrooms or to warm up a front room, sunroom or basement. If you have a picky loved one, or house mate, or for the elderly or disabled – climate control is of utmost importance. Whereas a furnace distributes heat over the house, the heat pump can accentuate additional heating or cooling in a specific room such as a nursery (or rooms with multiple units). This can be invaluable for the health and well being of those with a delicate or fragile disposition. Central heat pumps are scale-able such as if you need one or ten as long as there is access to outside ventilation and room for a unit, they are very versatile to any home, especially older homes or heritage houses, when who knows what one would find when pulling apart walls to install a traditional ducted furnace! Ductless heat pumps are not recommended to use solely the only heat source for conditions lower than -15°C especially in Canada. Furthermore, heat pumps can be used on their own or in conjunction with other heating methods such as baseboard heating, gas fireplaces, furnace, wood heating or other methods. 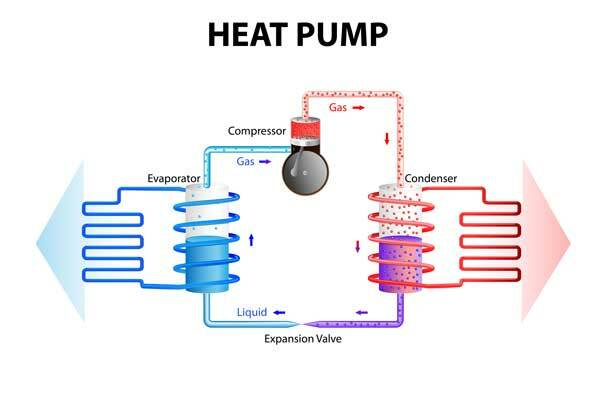 We would be remiss if we didn’t discuss other types of heat pumps, such as ground-source heat pumps such as geothermal, geoexchange or earth energy pumps – which draw heat from the ground or groundwater, however these are not individual units and require much land for piping to be administered. However individual heat pump units are excellent for apartments, or houses sub-sectioned into multiple living quarters as then the heat can be regulated per room and multiple furnaces are not typically needed. Wall air conditioners and heat pumps may also be an excellent idea for Bed and Breakfasts, AirBnB or house exchange programs as then the guest or client can climate control their own room or unit. It could be an exceptional asset to market to potential guests, and ideally increase occupancy! 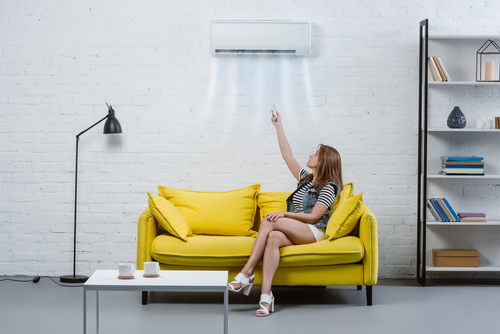 If you have an old air conditioning unit or an old heat pump, as they have been around for decades, you could save a bundle by upgrading your unit. Efficiency has come light years since then. Some of our clients have saved upto 50% on their utility bills! Thus it very well might be worth the ask. We are a Canadian Company! For an estimate, call us at 647-591-2683 fill out the form below or see our locations on our contact us page. Ensure your heating and cooling systems at your home or business are operating at peak efficiency. Our HVAC specialist can offer suggestions of how to save money on energy costs and can help improve the bottom line. Do you have multiple workplace facilities, franchises, homes or offices? Heating Ontario’s coverage area in Southern Ontario includes the Greater Toronto Area. No need to deal with multiple companies, technicians and locations. One call will solve it all. Call us if your building isn’t listed above, we can make arrangements. You’ll sleep better at night, to be more alert and productive at work, thanks to Heating Ontario’s Commercial & Residential 10+ years of experience.